Ahead of the release of his debut LP ‘Late Nite Beats’ in early June, Parisian Joss Moog drops a four track sampler of what we can expect from the album. 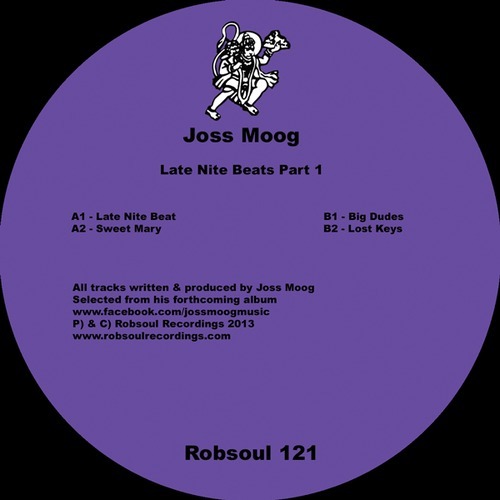 As one of the unsung heroes of the Robsoul Recordings roster, Joss Moog has consistently delivered some of the finest quality music at the deeper end of the output found on Phil Weeks’ label. The tracks on this sampler further cement Joss Moog’s skill at blending live instrumentation with soul-filled samples and house beats – deep and musical, but with more than enough bite to bump the dance floor. There’s also a departure into funk and soul territory with ‘Sweet Mary’, providing a teaser of the breadth of the forthcoming album.